Alternative energy sources are a means of rational resource saving. Development of nanotechnology is a path toward such alternative energy sources. For several years, scientists at South Ural State University have been working on the creation of solar batteries from organic, light-sensitive material. Such batteries are nontoxic and would provide great advantages in alternative power engineering of the future. Usually, solar batteries are thought of as panels of photovoltaic converters (photoelements). 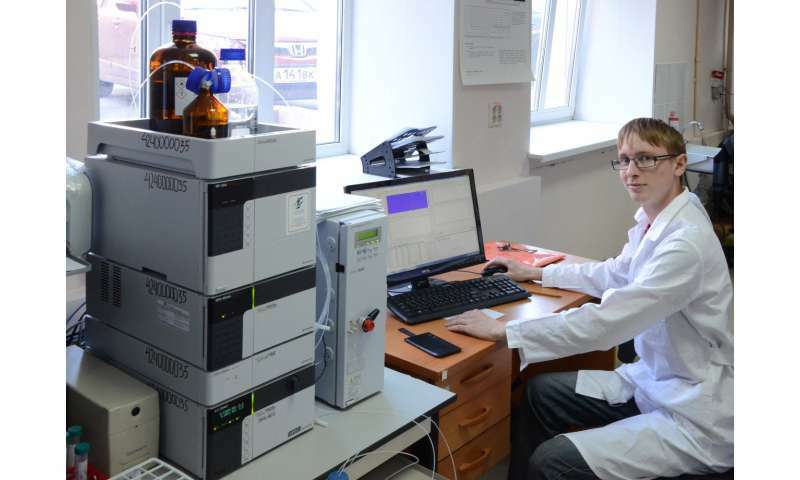 Research fellows of Nanotechnology REC and the Faculty of Chemistry of the SUSU Institute of Natural Sciences and Mathematics are working on the creation of new materials for organic photovoltaics. "Over the last 10 years, photovoltaics became the most rapidly developing branch of alternative power engineering. Annual gain of installed photovoltaic capacity within the period from 2000 till 2013 inclusively amounted to 40 percent. For example, Germany is not the sunniest country, but it possesses the largest photovoltaic capacity. And today, photovoltaic technology provides 17 million people with electricity," notes research fellow of Nanotechnology REC, Oleg Bolshakov. Due to innovations by scientists from around the world, prices for solar batteries are rapidly decreasing. Therefore, renewable energy sources are rapidly replacing traditional energy carriers. In photovoltaic systems, conversion of solar energy into electric energy is performed in photovoltaic converters (PV converters). Depending on the material, structure and method of production, three generations of PV converters are usually distinguished: "Photovoltaic elements of the first generation are considered as mature technology dominating the market. They are represented by two types: mono- and polycrystalline silicon. The second generation, the so-called thin-film (generation), places a lower position on the market, though it demonstrates higher rate of (capacity) gain," explains Oleg Bolshakov. The third generation offers an immensely larger variety of technology solutions based on new materials, instrumentation and concepts of light conversion into electricity. Such variety means a wider dynamics of engineering measurements in photovoltaics, which is the main competitive advantage. Solar batteries of the third generation will likely usher in breakthrough technologies. Third-generation PV converters will further decrease the cost of PV converters, while avoiding the use of expensive and toxic materials in favor of cheap and recycleable polymers and electrolytes. "One of the most important advantages of the third generation batteries is their fast recoupment compared to the first and the second generations," says Oleg Igorevich. "For example, according to the Energy and Environmental Science journal, the period of recoupment for PV converters of the third generation takes months, whereas consumer cost recovery for the first two generations takes years. But the problem is that the existing samples of the third generation of photovoltaics are the least efficient. We are planning to sufficiently change the current situation on the market and bring organic photovoltaics to the front row of efficiency while preserving their advantages – flexibility and low cost." Scientists of South Ural State University are planning to reach the enhanced efficiency of PV converters through a unique method of introducing chalcogenides of the higher order (sulfur, selenium), which will significantly narrow the width of excluded region (the narrower the excluded region is, the higher is the possibility for PV converters to generate energy under effect of visible light). The team of Nanothechnology REC has many-years experience in the sphere of conversion of chalcogen-nitrogen heterocycles. Moreover, scientists intend to enhance conductivity through modification of molecular organization using methods of organic synthesis. "Photocatalytic processes are the brand identity of Nanotechnology REC. Much experience has been accumulated in the sphere of photocatalysis. Using the unique method of synthesizing photocatalysts made of titanium peroxocomplexes, materials that massively exceed commercial analogues by their efficiency were obtained. Therefore, we are planning to increase efficiency from 12 to 20 percent. This is really a breakthrough in alternative power engineering, and we have all the necessary to achieve such goal," says Aleksey Galushko.